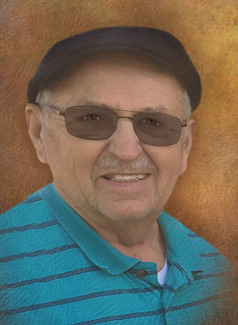 Obituary for Wendell LeSuer | Glunt Funeral Home and Crematory, Inc.
Wendell A. LeSuer, 79, of Edinboro, died Thursday, June 28, 2018 at Crawford County Care Center. He was born in Edinboro on September 19, 1938, the son of the late Lyman and Doris (Hayes) LeSuer, in a house on Fry Road in Franklin Township about a mile from the LeSuer Homestead where he grew up. In his teenage years, he worked for a neighbor, Byron Harris, who owned a mink farm. After high school he went to work at R.R. Walker & Son, the John Deere dealer in Edinboro. He spent 50 years working with John Deere farm equipment, first with Walkers, then with two other dealers. He loved to hunt and spent every deer and bear season at his hunting camp near Sheffield, PA. He was a long time member and past Noble Grand of the Edinboro I.O.O.F. #510. Wendell was married to his high school sweetheart, Nancy Krautter LeSuer for over 58 years. They moved half a mile from the family homestead and together they had three children, Theresa LeSuer, of Edinboro, W. James LeSuer (Laurie Hale), of Cambridge Springs and Timothy LeSuer (Margaret Berry), of Edinboro; 4 grandchildren, Shawn LeSuer (Amanda Locke), of Cambridge Springs, Katherine LeSuer Childs (Albert Childs), Denver, PA, Adam LeSuer and Jacob LeSuer, of Cambridge Springs; 3 great grandchildren, twins Abagail and Hannah, and Hazel LeSuer, of Cambridge Springs; 3 brothers, Dentcsil LeSuer (Phyllis Tallman), Nevearin LeSuer (Gail Sturm) and Ken Loucks (Ruby Lewis), all of Edinboro; a sister and brother-in-law, Kathleen Krautter McArdle (Lewis McArdle) and sister in law, Susanne Krautter. Friends may call at the Glunt Funeral Home and Crematory, Inc., 210 Erie Street, Edinboro, on Sunday, July 1, 2018 from 7 to 9 p.m. and on Monday, July 2 from 2 to 4 and 7 to 9 p.m. There will be an Odd Fellows service on Sunday at 7 p.m. A funeral service will be held at McLane Church, 12511 Edinboro Road, on Tuesday, July 3 at 11:00 a.m.
Burial will be in Edinboro Cemetery. In lieu of flowers, memorials may be made to Edinboro Volunteer Fire Dept., 125 Meadville St., Edinboro PA 16412, American Cancer Society, 2115 West 38th St., Erie PA 16508 or Hospice of Crawford County, Inc., 766 Liberty St., Meadville, PA 16335. To send condolences please visit www.gluntfuneralhome.com.